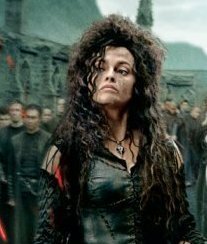 Bella - The Deathly Hallows pt 2. . Wallpaper and background images in the Bellatrix Lestrange club tagged: bellatrix lestrange helena bonham carter harry potter harry potter and the deathly hallows part 2. Poor bella looks like she just got punched in the face.